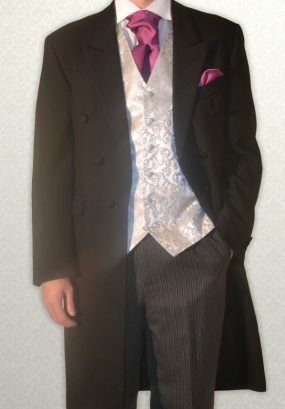 Traditional Black Full-Length Frock Coat with traditional black/grey pinstripe trousers. Available with trousers to match. 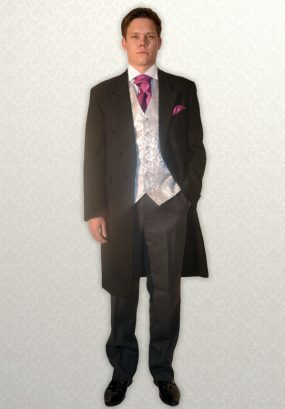 Also available in Navy Herringbone with navy pinstripe trousers or trousers to match.